This beautifully illustrated video explains the fastest way to get high-quality clients on a consistent basis, with real-world examples. To get the video training, just register below. You can then watch the video now or watch it later, at a time of your choosing. 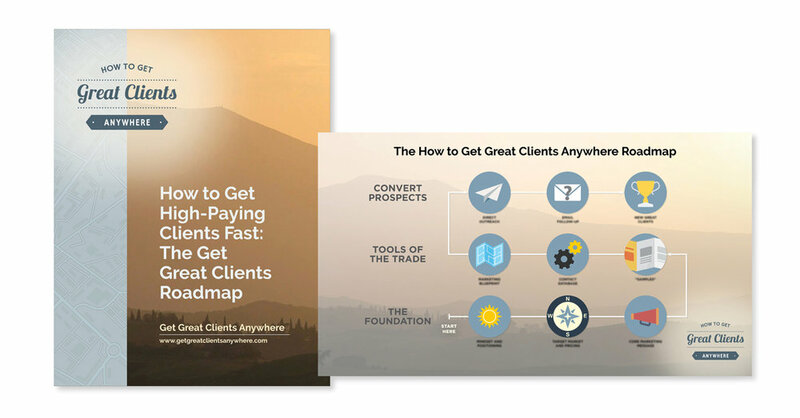 Once you sign up for the training, you’ll also receive a copy of the Get Great Clients Roadmap.